We believe in matcha hot, cold, straight, shaken or stirred! Any way you want it, matcha provides antioxidant benefits, focus, and energy. Organic, whole leaf green tea joins forces with vitamin C-rich Acerola cherry, and a traditional immune support blend of ginger, turmeric, and orange peel; daily wellness from real food ingredients, not synthetic vitamins. Creamy and vegan? Organic green tea, unrefined coconut sugar, and coconut oil join together for an indulgent drink we're sure you'll find a whole latte better. Meet your matcha! Organic Japanese matcha is perfect for drinking and baking/blending. They're also a great value so you don't have to be an emperor to enjoy them. A summer favorite is getting an upgrade of antioxidants. Organic Japanese matcha is combined with cold pressed crystallized fruit juice and lightly sweetened for a refreshing drink. Fuel in a cup! MCT Oil and Coconut Milk for quick energy and brain function. Organic Japanese Matcha for natural energy and calming focus. 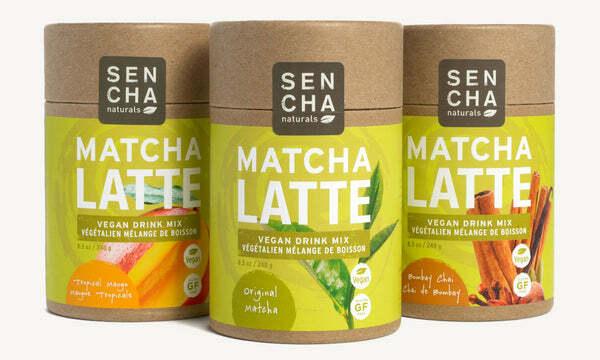 Blended together for keto matcha latte bliss!